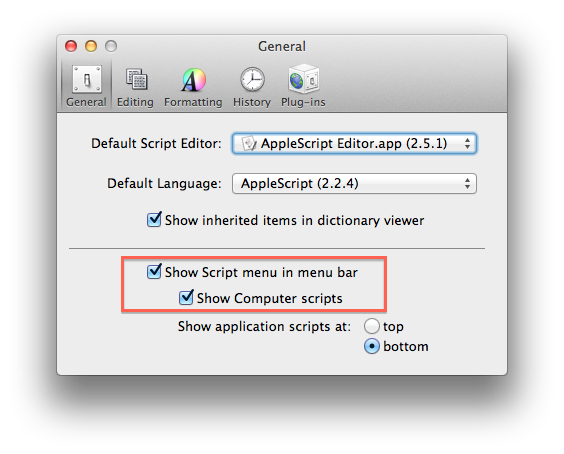 Posted on March 30, 2013, in AppleScript, Finder, Scripts, Time Machine and tagged applescript, disks, eject, finder, Mac, OS X, time machine. Bookmark the permalink. 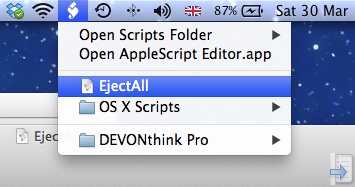 Comments Off on eject all your disks at once.